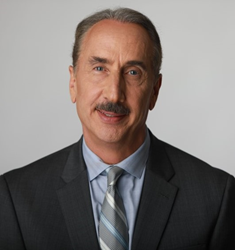 Rick Baker, the former Mayor of St. Petersburg, Florida joins Coast’s Advisory Board. Coast Autonomous, a self-driving mobility company, announced today that Rick Baker, the former mayor of St. Petersburg who was named “America’s Greatest Mayor of the decade” in The Daily Beast (see below link), and America’s Mayor/Public Official of the Year by Governing Magazine, has joined Coast to become its Senior Advisor on Urban Deployment and to serve on Coast’s Advisory Board. Mayor Baker’s innovative leadership directly led to the incredible renaissance of Florida’s 4th largest city. During his two terms as mayor from 2001 to 2010, Rick Baker transformed St. Petersburg into a united city that worked for its citizens and attracted new residents and businesses from across the country. Working with community groups and the private sector, Mayor Baker’s efforts led to the direct investment of billions of dollars in the city, brought in world-class museums and higher educational and research facilities, and breathed new life into the city’s waterfront. Mayor Baker also led the effort to attract and retain today’s Firestone Grand Prix of St. Petersburg, a hugely successful IndyCar race that is now in its 14th year. Since leaving office, Mayor Baker has continued to advance positive urban policy, speaking around the country, serving as an adjunct fellow at the Manhattan Institute’s Center for State and Local Leadership, and writing policy columns and The Seamless City, a book published by Regnery of Washington D.C. on the redevelopment of America’s cities. City leaders around the nation have sought his real-world, proven advice. In his new position with Coast, Mayor Baker will work to further develop its urban mobility solutions and help the Company work with city stakeholders to make their cities more seamless and more livable. Mayor Baker joins Stanford Professor Dr. Marco Pavone and three-time Indianapolis 500 winner Dario Franchitti on Coast’s Advisory Board. Dr. Pavone is a leading expert in robot autonomy and fleet management, while Franchitti provides his considerable expertise on safe driving to further advance Coast Autonomous’ best-in-class self-driving software. Coast Autonomous is a self-driving mobility company focused on delivering mobility solutions for low-speed environments. Coast has developed a complete suite of Autonomous Vehicle (AV) software that includes mapping & localization, robotics & artificial intelligence (AI), fleet management and supervision systems. Coast provides Transportation-as-a-Service (TaaS) solutions to cities, theme parks, campuses, airports and other low-speed environments. Headquartered in Pasadena, California, the Coast team is recognized for its experience and expertise in developing and operating AV fleets focused on the pedestrian that prioritize safety and the user experience. To learn how Coast Autonomous can help you power autonomous transportation in your environment, please visit http://www.CoastAutonomous.com. Rick Baker has been a business acquisition lawyer, a law firm president, a university vice president and president of a St. Petersburg-based development and entertainment company. From 2001 to 2010, he served as mayor of St. Petersburg - Florida’s fourth largest city. Baker holds a B.S., MBA, and Juris Doctor (with honors) from Florida State University, where he was Senior Class President. He studied comparative law at Oxford University. He has authored three books: Mangroves to Major League in 2000, a history of St. Petersburg; The Seamless City in 2011, about city leadership and urban revitalization; and Beyond the Sunshine in 2018, a timeline history of Florida.